Limited edition on silver colored vinyl! 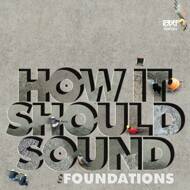 One of the most popular instrumental series of all time continues to expand with HISS Foundations. This project is truly one of those records produced solely for the diehard fans of Damu’s How it Should Sound (HISS) Volumes 1 & 2, but might also be a great introduction for newcomers. This 2XLP collection contains more than beats, but seeds of ambition long before the (original) harvest. Straight from the archives, literally salvaged from the original recordings and unedited, never before have these demos been publicly available. One may think they’re well familiar with the sounds, but this is an intimate look into a rather private artist’s sketchbook. In no way should this replace HISS 1 & 2, but instead consider this as a collector’s item.